Based on one of Hans Christian Andersen's most beloved stories and the classic animated film, Disney's The Little Mermaid is a hauntingly beautiful love story for the ages. 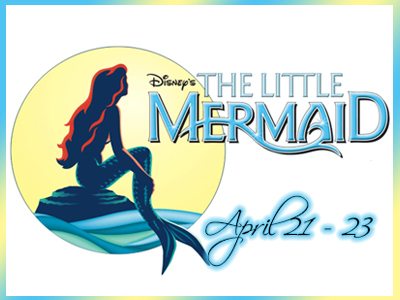 With music by eight-time Academy Award winner Alan Menken, lyrics by Howard Ashman and Glenn Slater, and a compelling book by Doug Wright, this fishy fable will capture your heart with its irresistible songs including "Under the Sea", Kiss the Girl", and "Part of Your World". Disney's The Little Mermaid offers Neelin High School students a fantastic creative experience to share with you and your entire family. Be prepared to see rich costumes and sets and to be delighted by their performances of some of the best-known songs from the past 30 years.